Urban legend has it that during the first inning of the 1977 World Series Game 2, the New York Yankees… were losing. But as fans anxiously anticipated a homerun, a line drive down the middle, anything, the focus of the cameras panned over the plates beyond Yankee Stadium where, you guessed it, the Bronx was burning. It turns out sportscaster Howard Cosell never quite uttered those words we know to be so famous, but the meaning behind it — all true. Arson’s grip on New York City in the ‘70s and ‘80s was strong. 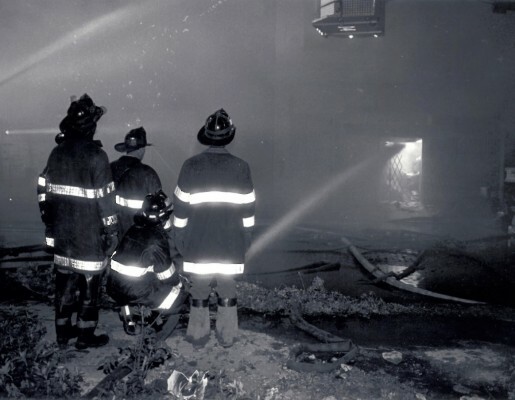 From the stadium to France, the Bronx meant arson, and arson meant tragedy. At the time, fires left entire streets in burnt-out ruins and transformed the landscape of the city. With the formation of the Arson Strike Force in 1978 and the influence of steadily rising property values, arson rates have declined from almost 14,000 during 1976 to about 2,000 in 2013. Though public and political interest in the crime has faded, arson still leaves a profound mark on the New York communities it affects. Meanwhile budgets for the city’s fire marshals have been slashed, leaving behind fewer resources to carry out thorough arson investigations–and lingering questions. This project takes a close look at arson in New York City, a felony that for years has been reported almost exclusively in splashy tabloid headlines. We examine the inner workings of arsonists’ minds, the human toll of their crime, the often painstaking process of arson investigation, and effect an arson can leave on a community for decades to come.